Trade your smooth-sailing cruise ship with a wild Tomcar ride on this 3-hour off-roading shore excursion from Ketchikan. 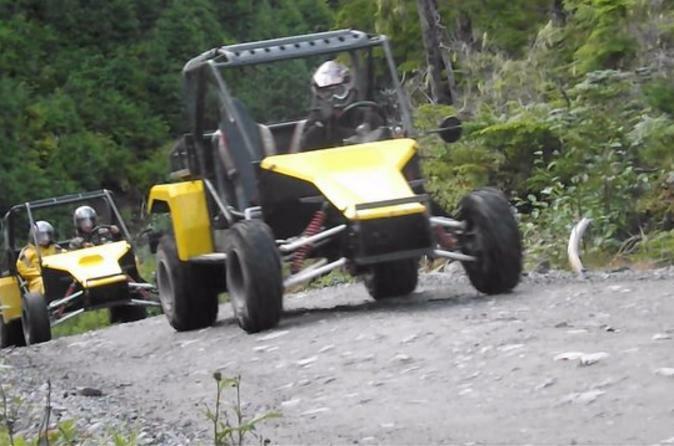 Following an experienced guide, steer a Tomcar utility vehicle seating two along unpaved mountain paths and admire wildlife, waterfalls and the breathtaking scenery of Behm Canal, the Inside Passage and Tongass National Forest. Expect the ride to be bumpy — and dirty — but the thrills and views are totally worth it.